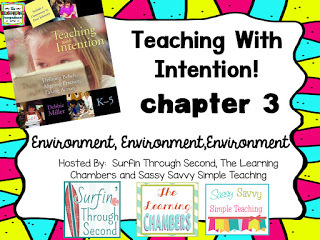 Welcome back for chapter 3 of the Teaching with Intention book study! 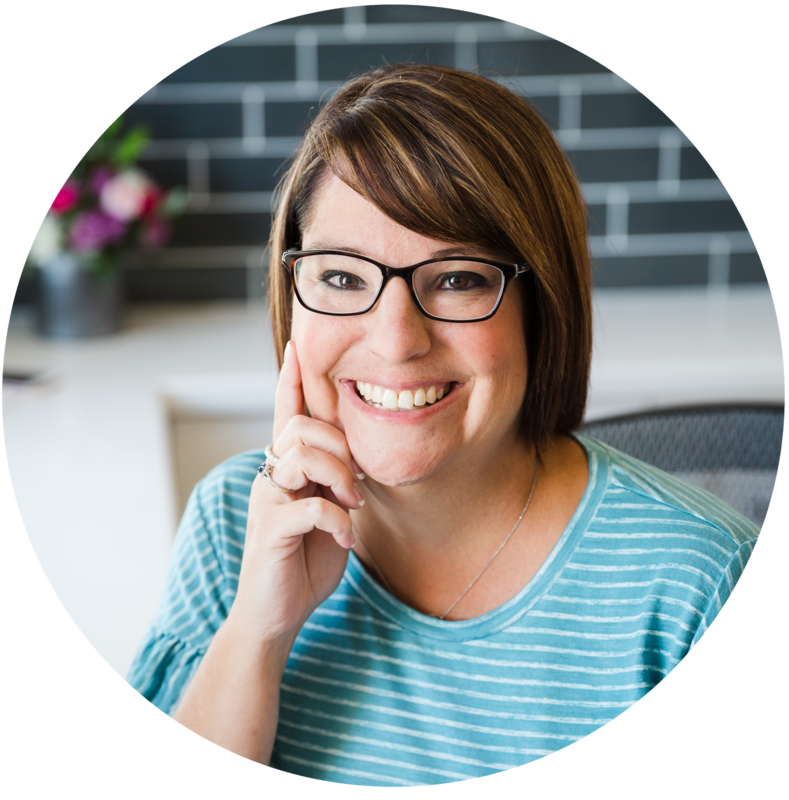 This chapter was about one of my very favorite teacher topics- setting up your classroom! 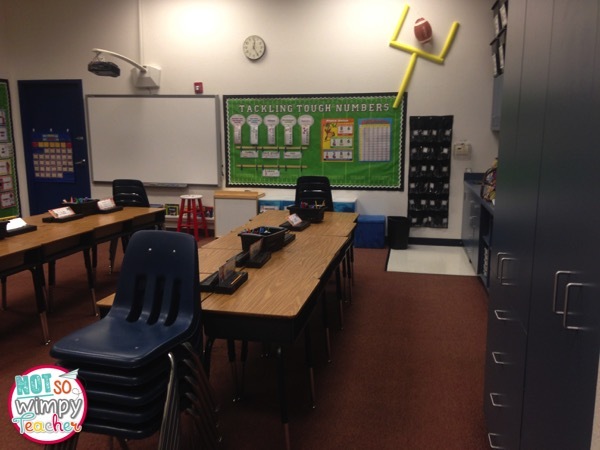 Miller writes about setting up a classroom that reflects your values in the classroom rather than a classroom that looks like a model home that is not lived in. This is a sensitive topic for me. 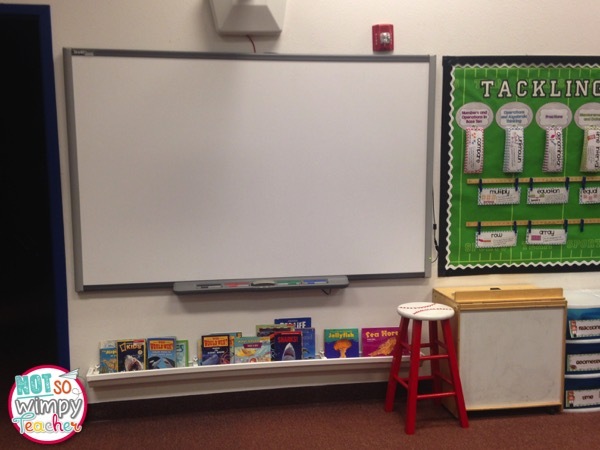 I adore creating cute classrooms. I have been told repeatedly by coworkers and parents that my classroom looks like it came from the pages of a magazine. What they sometimes don't realize is how much thought went into every piece. 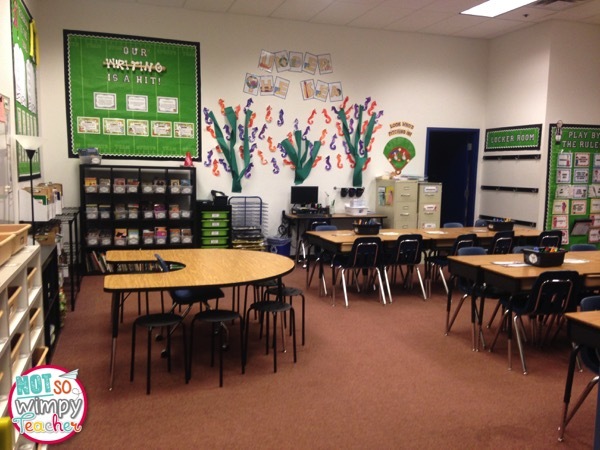 Every decision I made while setting up my classroom was intentional. It's cute...but more importantly my classroom is functional and a comfortable and happy place for my students to learn. Miller suggests that teachers step outside of their classroom and and look back in. What do you see? Make a list of the things that you like and a list of things that you want to change. Ask a colleague to look around your room. Ask them, "What do you know that I value?" 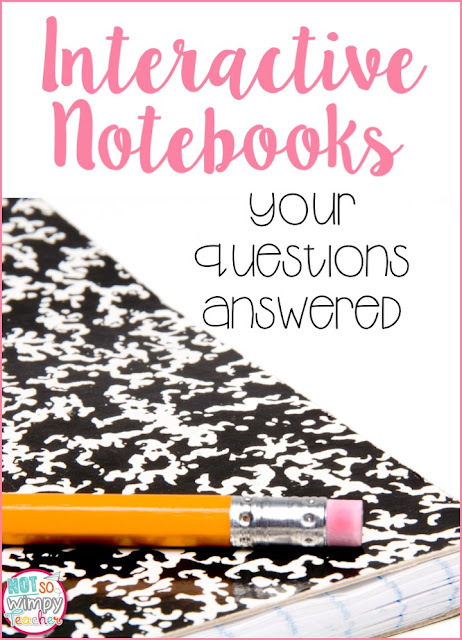 If their answer isn't what you were hoping for, you need to relook at your classroom layout and organization. I deeply value differentiation. One of the ways in which I provide meaningful differentiation is through small group instruction. My classroom must have a small group meeting area. 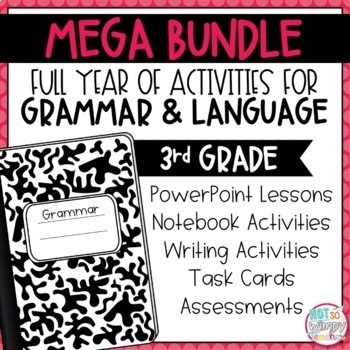 It is important to me that I have everything we need for our reading and math small groups in the small group area. I don't want to have any valuable time wasted moving chairs or searching for manipulatives or pencils. This shelf behind our small group table holds all of our book club books, phonogram and sight word cards, math manipulatives, pencils, scissors, glue, etc. Students get these supplies out for us when they come back for their small group. 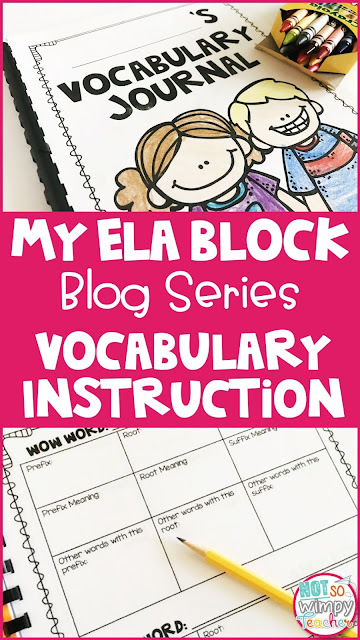 I value literacy and strive to encourage my students to be life-long readers. My classroom must have lots of space to store books. 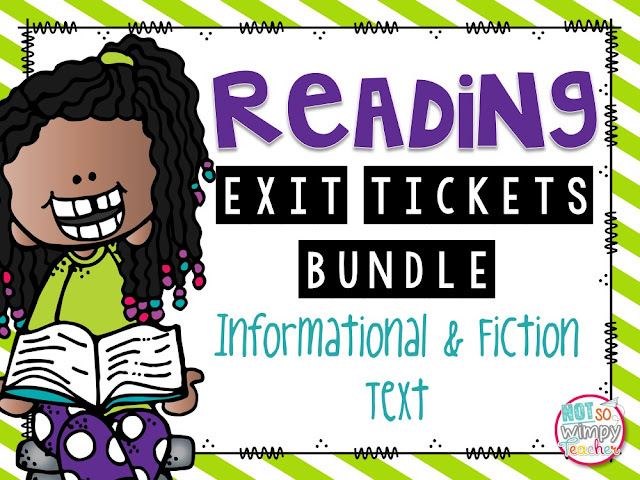 I know that nothing encourages a student to read more than having lots of book choices easily accessible to them. 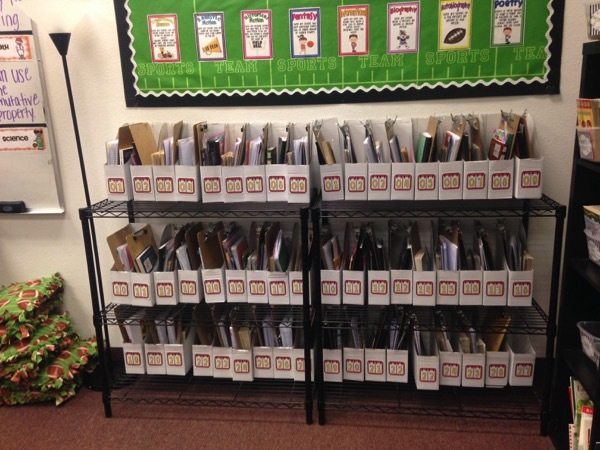 I have a classroom library that houses most of our chapter books organized by series, theme or author. 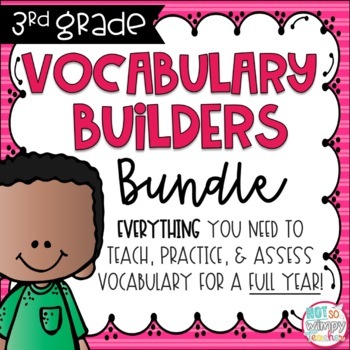 Labels will be changed, discarded or added throughout the year because the types of books that my students are looking for changes with each year. I intentionally placed my book shelf on this particular wall because it is the first thing you see when you open my classroom door. The moment you walk in my classroom, you know that books are important to me! I also keep science and social studies books right at the front of the room under our smart board. I switch them out as we move through different units. I have another shelf of teacher read aloud books that I will be organizing this summer. I also have a cabinet full of book club sets! Books everywhere! 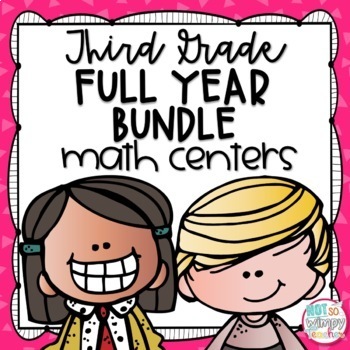 Sometimes teachers are so focused on classroom libraries and literacy that they fail to show their value of mathematics when setting up the classroom. 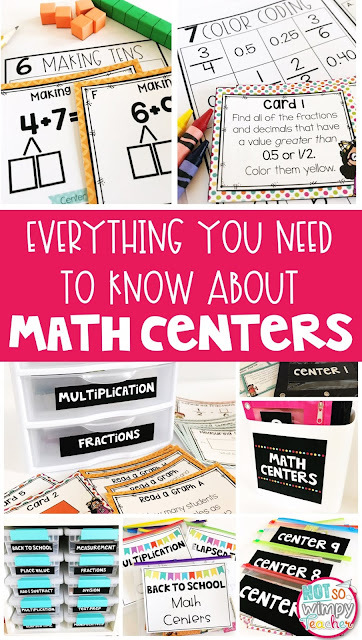 I wanted my students to know that math is important to me! So I put my math board right in the front of the room. 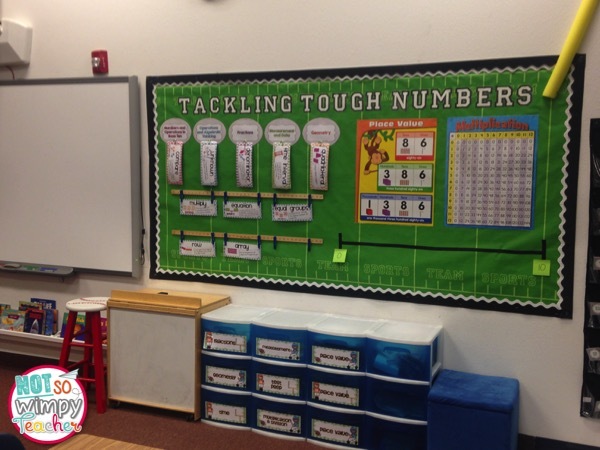 We also have an entire wall of cubbies devoted to math manipulatives and games. 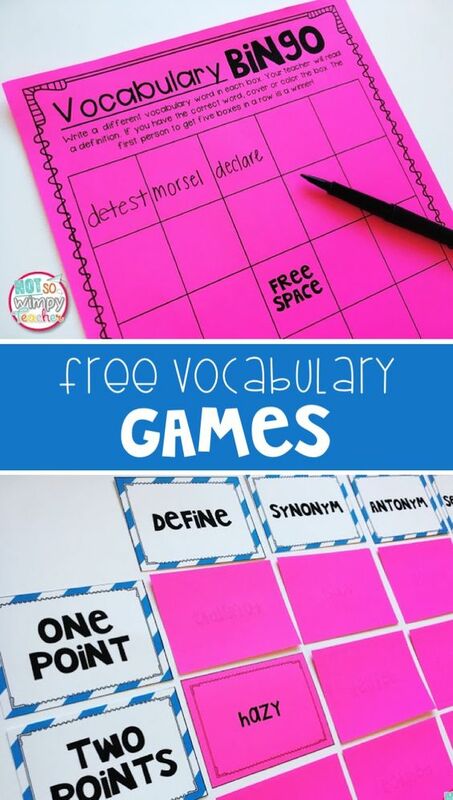 They are intentionally placed within reach of my students because I want, and expect, them to get the materials out anytime they find them helpful. If they are hidden inside a cabinet, students are much less likely to access them. 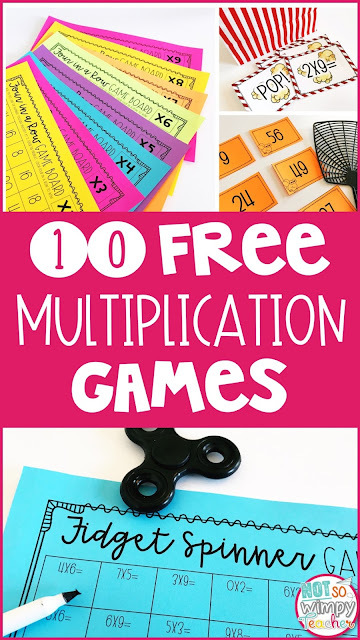 Math manipulatives, like books, should be 100% accessible to students! I am not worried about them mistreating my materials because we practice with them and set guidelines during the first weeks of school. We share a classroom with another class of third graders. They use the room immediately after we leave the room. Therefore, organization is imperative! 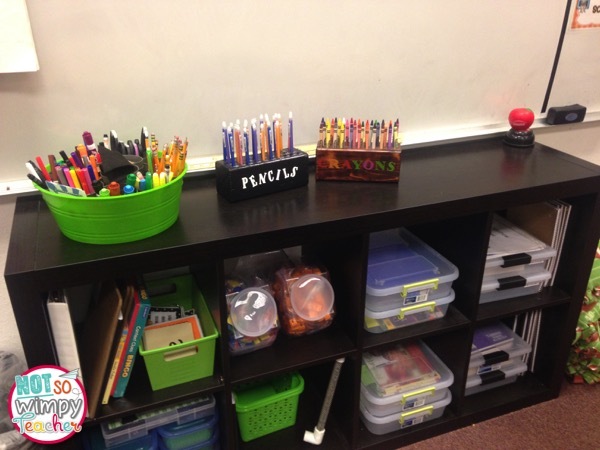 Since our students share a desk with someone from the next class, they cannot keep their supplies loose in the desk. 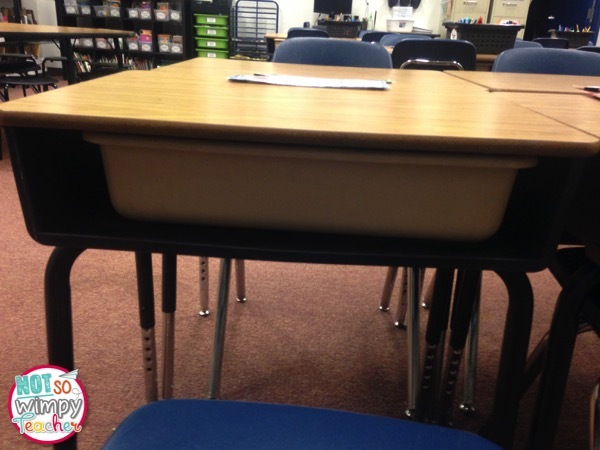 Every student has a tub for supplies and the tub slides into the desk. 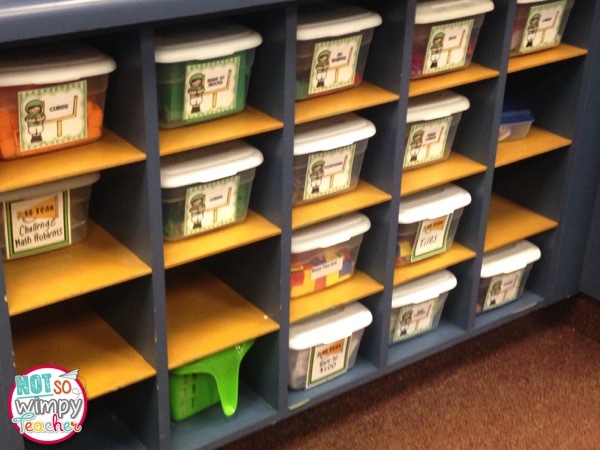 At the end of our day, students bring their desk tub to our shelf. They grab their PM partner's tub and stick it in the desk. 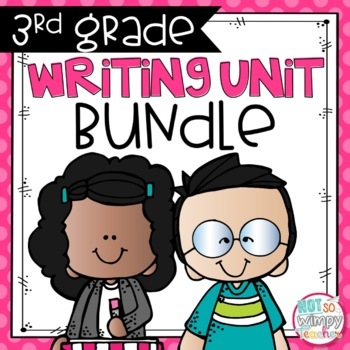 These tubs are fairly small and can only accommodate their binders, pencil boxes, a couple composition books and folders. 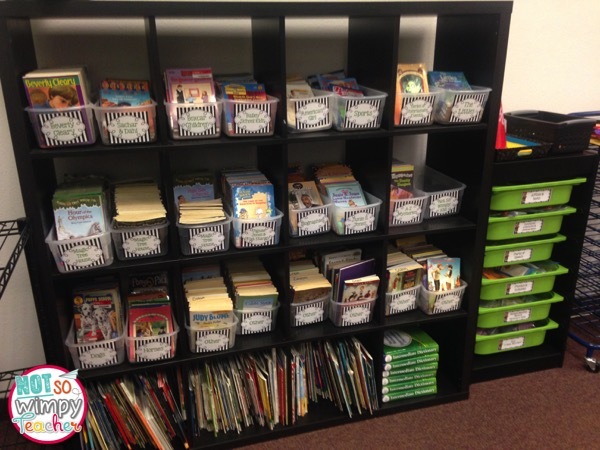 Students needed a place to keep the books they are reading and their reading response materials. They each have a book box that is stored on a shelf in our classroom library. We share supplies in the classroom. 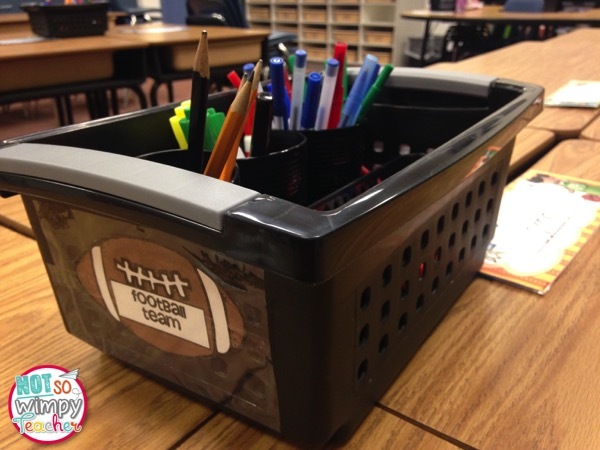 Students have caddies on the tables that they keep stocked with pencils, pens, highlighters, erasers and glue sticks. 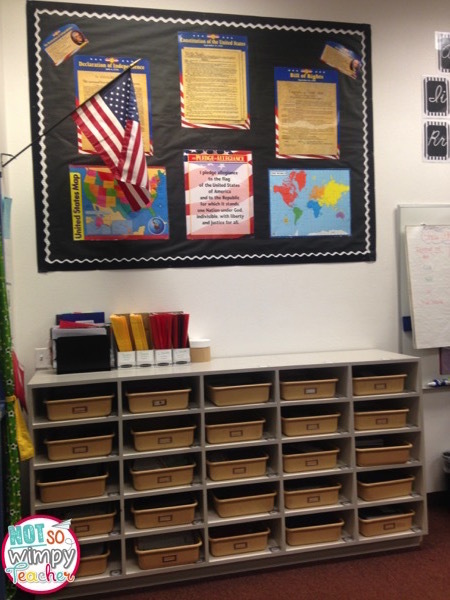 I knew that I wanted kids to be able to replace these supplies when necessary, so I dedicated a large drawer with supplies. Students know that these supplies are for their use and have been pretty responsible about taking care to replace supplies in the caddies. 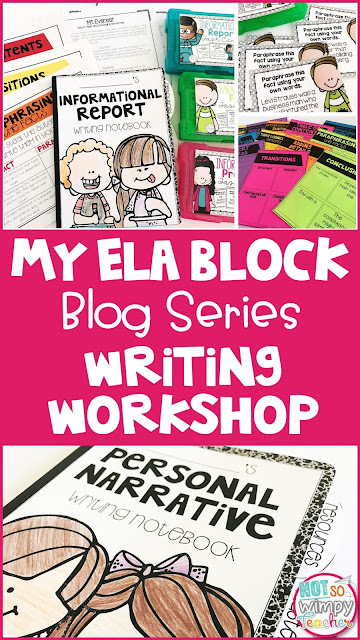 All day students will be talking and collaborating with their peers. It was a given for me that my desks would be arraigned in groups where students have shoulder partners AND someone directly across from them. I could never teach in a classroom with rows. It would never match my teaching values. Sadly, our classroom is VERY small. I experimented and experimented, but only found one way to squeeze 28 desks in while preserving our small group area. 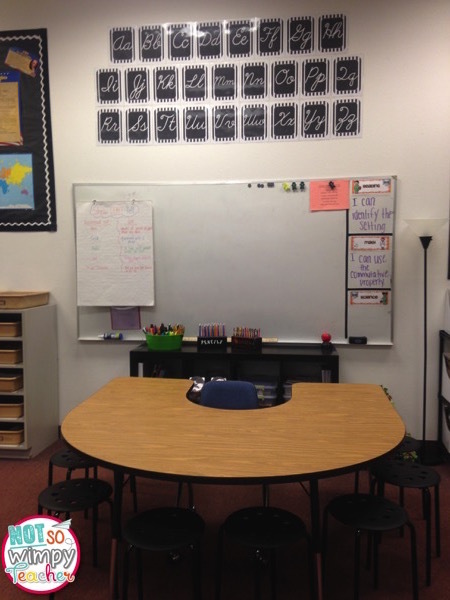 We have the desks arranged into three long groups with 8-10 desks in each group. It totally works for collaboration and being able to walk around the room and observe students as they work with their peers. I just wish I had more floor space for our mini lessons and class meetings. Since we don't have room for extra tables for partner work, students do this work on the floor. You can't have it all and we make it work. Yes, I have a cute classroom theme that I use throughout my room. But behind that theme is a room that truly reflects my values and allows our classroom family to thrive. What kinds of changes are you making in your classroom this year? How will these changes reflect your values? I'm Jamie. I am blessed with a very patient husband and 5 amazing children. I love my dog, HGTV, tacos and country music. 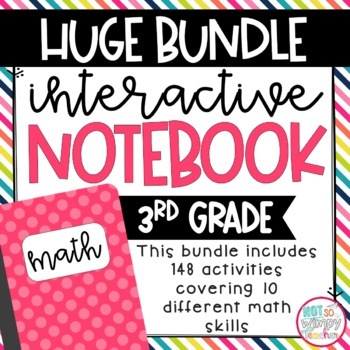 I'm super organized and passionate about hands-on learning that is fun! Put Away the Red Pens! Not So Wimpy Teacher is a participant in the Amazon Services LLC Associates Program, an affiliate advertising program designed to provide means for sites to earn advertising fees by advertising and linking to Amazon.com. Amazon, the Amazon logo, AmazonSupply, and the AmazonSupply logo are trademarks of Amazon.com Inc. or its affiliates.